Mary Chapman boards the Speedwell in 1620 as a Separatist seeking a better life in the New World. William Lytton embarks on the Mayflower as a carpenter looking for opportunities to succeed—and he may have found one when a man from the Virginia Company offers William a hefty sum to keep a stealth eye on company interests in the new colony. The season is far too late for good sailing and storms rage, but reaching land is no better as food is scarce and the people are weak. Will Mary survive to face the spring planting and unknown natives? Will William be branded a traitor and expelled? Daughters of the Mayflower series begins with The Mayflower Bride. Coming in at 256 pages it’s a relatively quick read chronicling the voyage in 1620 of the Mayflower to the New World. I enjoyed the historical setting and was interested as these Separatists wanted to start over in a place where they have the freedom to worship as they saw fit. 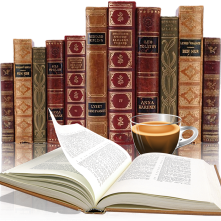 Most of this book takes place on the ship and it's where the real test of endurance takes place. There are lots of themes to this book - survival, love and loss, faith and the day to day struggles on a voyage that brought heartache and tested so many. 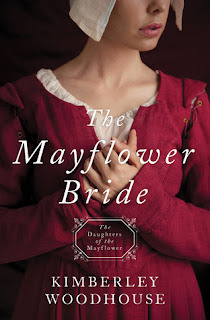 While I didn’t always connect to the characters and would have loved a little more depth to the story The Mayflower Bride was an enjoyable read and a series I will continue to read. Thanks to the publisher (via Netgalley) for an arc in exchange for honest review.